Conserv-A-Tech are a house extension and double glazing company based in Stevenage. We build house extensions, conservatories, and orangeries throughout Stevenage and Hertfordshire. Including Letchworth, Hitchin, Biggleswade, Welwyn Garden City, St Albans, Cheshunt, Broxbourne and Hoddesdon. We also install a selection of uPVC and aluminium windows and doors in our coverage areas. We are registered Ultra Installers and Which Trusted Trader approved so you know you can rely on us for your home extensions and improvements. He endorses this to the whole team as he project manages each build. 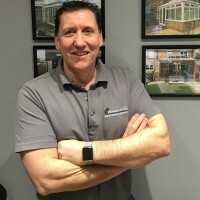 Martin, like Eric, has been in the industry for 35 years and has a wealth of knowledge within the sales, design & construction of Conservatories, and a great deal of experience with the new generation of Glazed Extensions & Warm Roof products now available – which have evolved over the years. 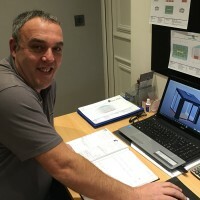 He is wiz on the in house CAD design software and can make your dream HomeSpace Improvement appear before your eyes – and without any hint of pressure sales associated with other companies. Our installers are MTC Qualified and are experts within the double glazing industry. They have a wealth of knowledge from continuous training of new products from within the industry and we are constantly growing. 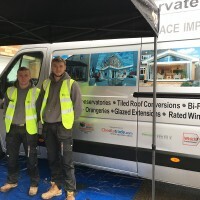 Our installers work extremely well and treat your property with respect, extending our customers with courtesy continuing all the attributes of the Company’s ethos. If you are looking for a truly professional installation, you have come to the right place. Together as a team, we run a professional and honest company, with high-quality products. Let us create your own unique space and turn your house extension dreams into a reality. Kim has been with the company since its inception in 2007. She is experienced and qualified with the SAGE accounting system, and also our admin queen, being responsible for all aspects of the administration from the initial welcome package as a new customer order being placed, to the final invoice and guarantee documentation upon completion. 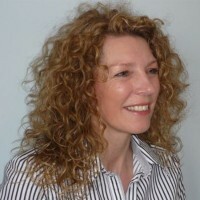 Kim is also in her spare time a qualified hypnotherapist, and enjoys walking her dog! Kim is the person that keeps us all on our toes! Our team has passed various assessments in order to qualify as Ultra Installers. This means that we have passed a business and quality assessment from both Ultraframe and Which?. How we install our conservatories, extensions and orangeries. We passed every one of these tests which means we can offer you a home improvement service that you can trust in. Contact us for more information on our high-quality installations and available products.